The Division of Agricultural Engineering was established in 1945 to develop and introduce appropriate machinery, implements and soil water conservation systems in Indian agriculture. Subsequently, postgraduate teaching and research on these aspects were added to the mandate of the Division. 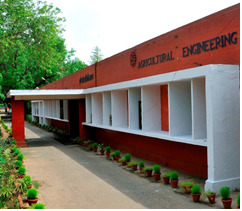 With the establishment of Water Technology Center in 1972, the soil and water conservation research component was transferred to the Water Technology Center, although teaching in this sub-discipline continued to form an integral part of the P.G. teaching of the Agricultural Engineering Division. The Division has the mandate for conducting strategic research on design and development of technologies/equipment in the area of Farm Machinery & Power, Agricultural Processing and Structures, Protected Cultivation, Soil and Water Engineering and Renewable Energy Sources with extension of technologies to farmers and entrepreneurs. The Division also provides Post Graduate teaching. Research on development of technologies / Precision Equipment in the area of Farm Machinery and Power, Precision farming, Post-Harvest Engineering, Protected Cultivation and Renewable Energy. Post graduate studies in the disciplines of Farm Power and Equipment, Agricultural Structures and Process Engineering and Soil and Water Conservation Engineering. Training of farmers, rural artisans extension workers, technical officers and subject matter specialists on agricultural engineering & technologies.